The Spare Room will bring in stars from Mexico City’s Limantour, London’s Super Lyan, and Houston’s Better Luck Tomorrow. “When you look at cocktails and introducing people to new flavors, tiki is the gateway drug,” says Yael Vengroff, the wunderkind bar director at The Spare Room in L.A.’s Hollywood Roosevelt hotel. For The Spare’s Room seventh annual Evening of Tiki guest-bartender series, which kicks off on May 16 with Jose Luis Leon and Ariana Ruiz of Mexico City’s Licorería Limantour, Vengroff is bringing in some of the world’s most boundary-pushing bartenders to put their spin on tiki. Over the years, The Spare Room’s tiki series has featured A-list cocktail heavyweights like Jim Meehan, Paul McGee, Ivy Mix, and John Lermayer. This year is no less special. “This is our most international year,” Vengroff says. This year’s innovators, including London’s Ryan Chetiyawardana, will no doubt take tiki to some different places. Chetiyawardana, who’s known as Mr. Lyan and has a background in biology, once famously ran an experimental bar, White Lyan, that didn’t use any perishables. Not even ice. Mr Lyan has been called "the LCD Soundsystem of the drinks world" by TimeOut London for his willingness to shut White Lyan down when it was at the peak of its powers. He’s a man who can play the classic hits while thinking deeply about wild ingredients and sustainability. “I imagine he’s going to bring a lot of things with him,” Vengroff says. Limantour, meanwhile, is the driving force of Mexico City’s cocktail scene. It was named the best bar in Latin America on the World’s 50 Best Bars 2017 list. Leon is known for traveling all over the world to visit prominent bars and study how they do things, so you can expect him to have some transporting drinks on his tiki night. Vengroff is also hosting a star group from her hometown of Houston, led by prolific cocktail impresario Bobby Heugel, whose establishments include Anvil Bar & Refuge, Tongue-Cut Sparrow, and 2018 Food & Wine Restaurant of the Year Better Luck Tomorrow. 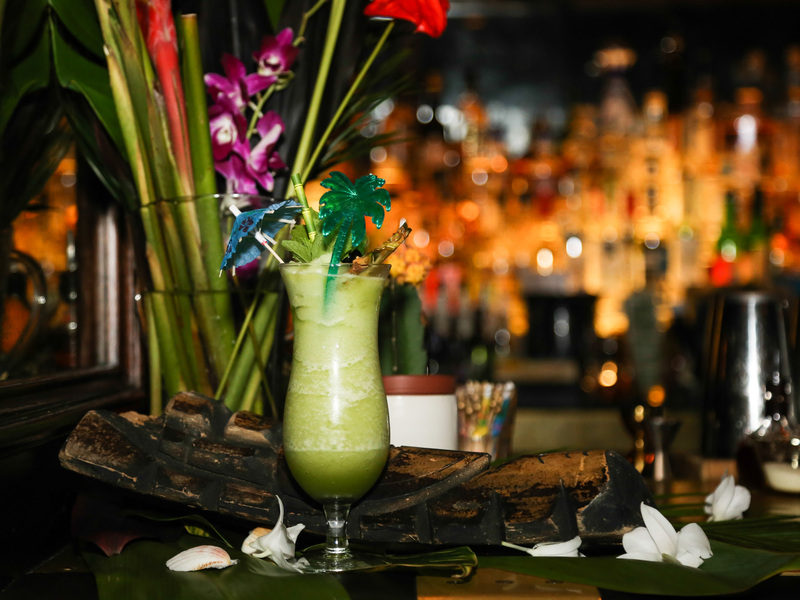 Evening of Tiki is about serious bartenders who are all coming to L.A. with a goal of having fun and making playful drinks. They’ll also have fun with floral decor and DJs playing “island-inspired music” that could be anything from reggae to salsa to merengue to The Kinks. There will be food like spiced popcorn and a Spam hot dog. There might be an oyster bar on some nights. The September 26 blowout won’t actually be in the Spare Room. Vengroff and “a whole season’s worth” of guest bartenders will take over the Hollywood Roosevelt’s Tropicana pool bar. Expect some of the biggest stars from seasons past making drinks at stations that might include a kayak in the pool.